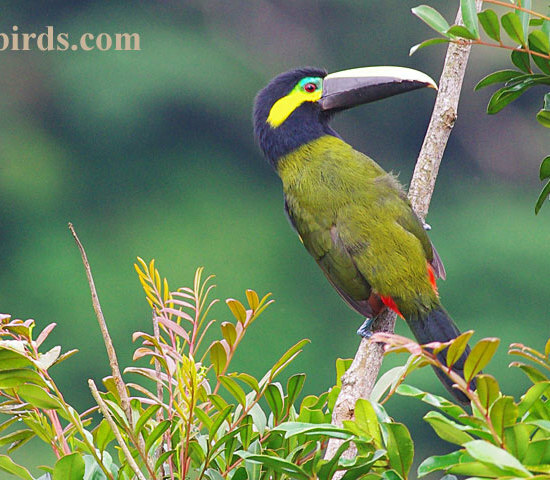 The yellow-eared toucanet (Selenidera spectabilis) is found in humid forests between 300 a 1500 meters above sea level in Central America y en South America in Colombia y Ecuador. 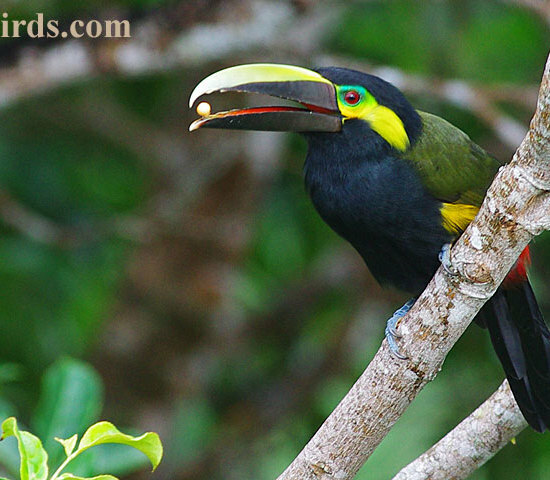 They eat mostly fruits and seeds plus some insects. 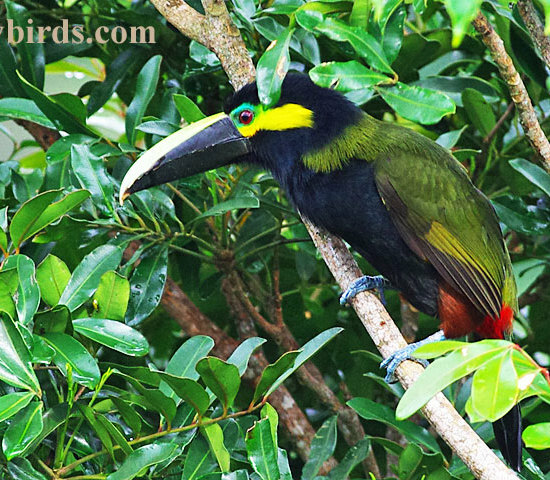 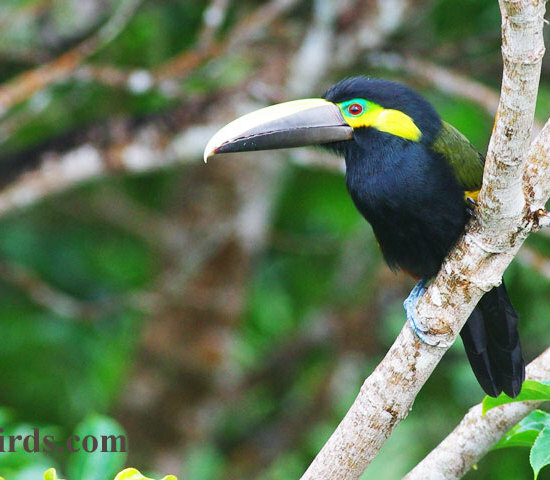 Images of these male Yellow Eared Toucanet where taken in Altos del Maria, Panama thanks to PTYbirds.com, here they are rare to find.